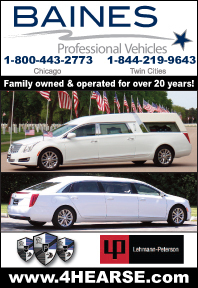 The text portion of all ads will appear in the Funeral Home & Cemetery News print edition, and in the Online Classifieds. You can now choose to have a photo appear with your ad, in the Online Classifieds only or both Online and in the print edition. Ads must be 50 words or less for the price shown. There is a .30 charge for each additional word per issue over 50 words. Call or email for a quote. 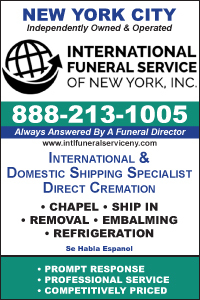 You may also add an e-mail and/or web address link to your online classified free of charge. 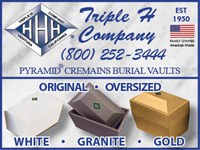 For publication in Funeral Home & Cemetery News the deadline is the 5th of the previous month. (ex. To publish in June, submit by May 5th). If you submit your ad now, you could gain up to 25 days FREE advertising exposure with the purchase of an ad with an online feature. Call us at 1-800-321-7479 for details.